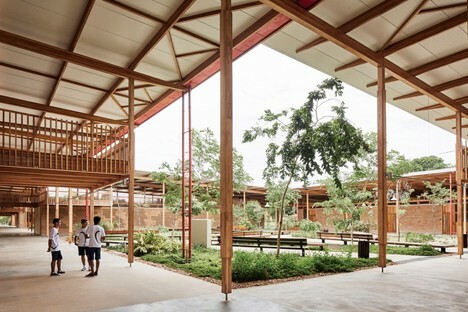 Children Village, the school complex designed on the edge of the rainforest in northern Brazil by Brazilian architectural studios Aleph Zero and Rosenbaum, has won a new award, the RIBA International Prize 2018. 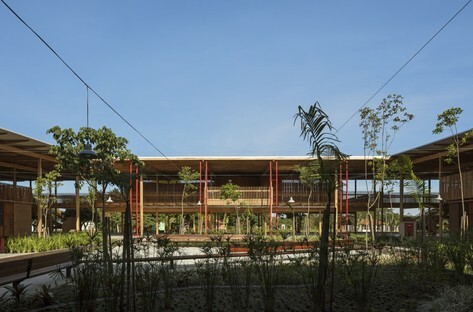 The Brazilian school is the world’s best new building, according to the Royal Institute of British Architects, the professional order of British architects which awards the biennial prize to the building best representing excellence in design and architectural ambition, with significant social impact”. 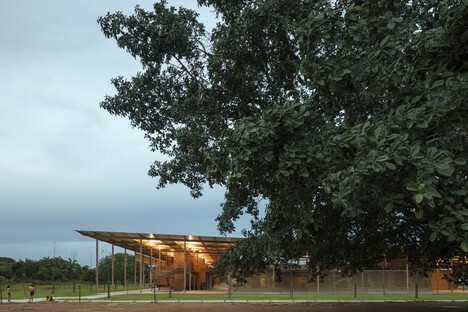 Children Village won the prize after passing a harsh selection process to become one of 20 buildings presented with the 2018 RIBA Award for International Excellence and then being selected over the other four finalists shortlisted for the RIBA International Prize 2018, picked by an international jury chaired by architect Elizabeth Diller (DS+R). 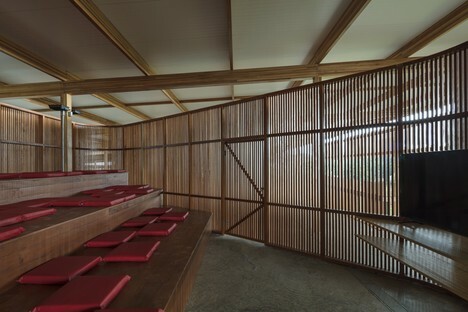 This new award is the third honour to be presented to the interesting timber complex, which won its designers the title of RIBA International Emerging Architect 2018, a prize for an emerging studio that has been active for less than ten years, in the spring. 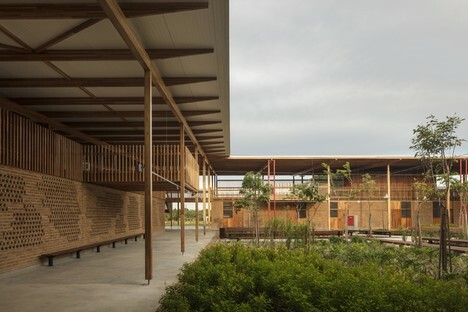 The Children Village project was implemented by architects Gustavo Utrabo and Petro Duschenes of Aleph Zero in partnership with architectsMarcelo Rosenbaum and Adriana Benguela of Rosenbaum. 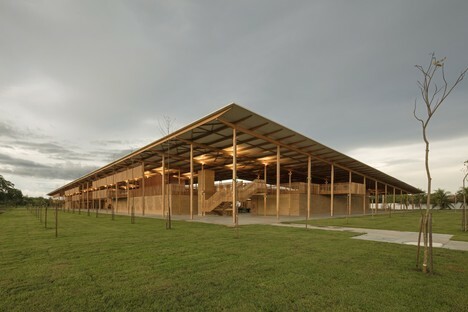 The complex is funded and managed by the Bradesco Foundation, which operates a network of forty schools for children in rural communities in Brazil. 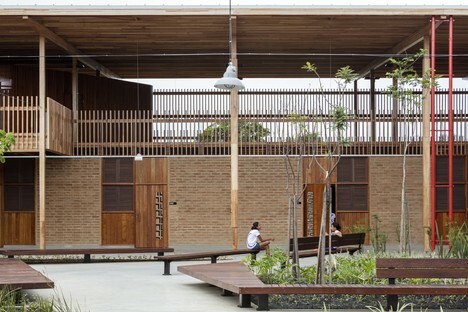 Children Village provides lodgings for 540 adolescents aged 13 to 18 who attend the school in Canuanã. 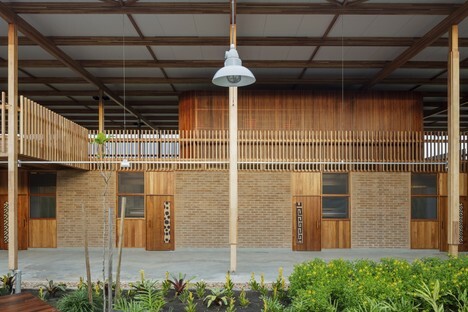 On the basis of their vision of architecture as an important tool for social transformation, the architects worked in close contact with the young students to identify the needs and desires the new building had to respond to. 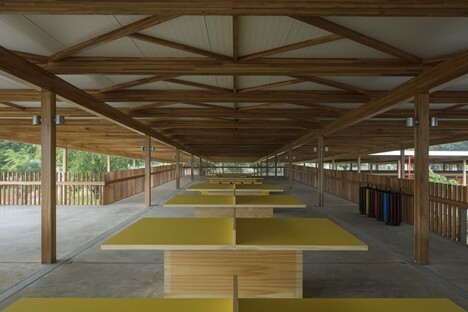 The architects particularly wanted to create an environment where kids would feel a sense of belonging, a family-like atmosphere in which they would feel at home even when far away from home. 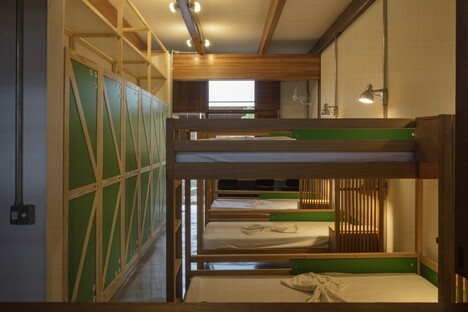 Thus the architects built bedrooms for a maximum of six children, rather than dormitories for forty, and public spaces where the kids can study, play or relax as well as private areas. Children Village covers a total of about 25,000 sqm and is composed of two identical buildings, one for girls and one for boys. 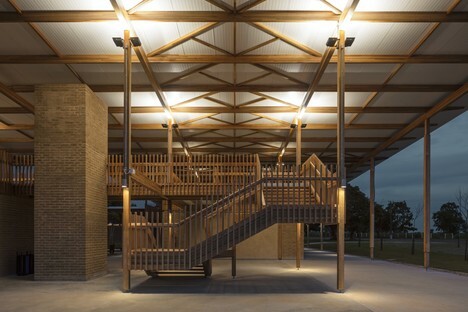 The architects used local building techniques and materials, and the result is an economical, environmentally sustainable project establishing a strong bond with its surroundings and the community for which it was built. 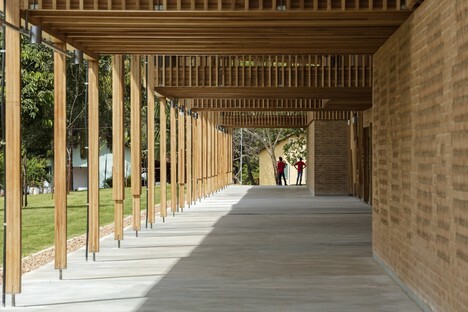 The boarders’ bedrooms are on the ground floor, arranged around three open, shady courtyards. On the first floor are the public spaces, flexible areas for a variety of activities such as reading rooms, TV rooms and lounges with hammocks. 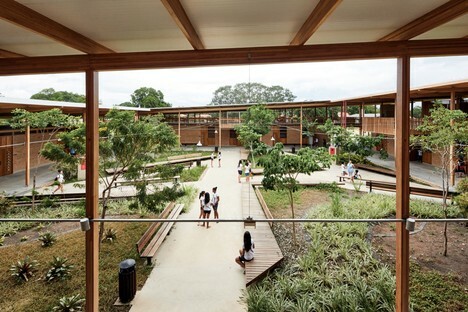 The cover over the complex, big wooden roofs supported by an elegant grid of glulam beams and pillars, provides sufficient shade for the spaces underneath to mitigate high temperatures in summer and create intermediate spaces between inside and outside to promote interaction and encourage students to socialise.